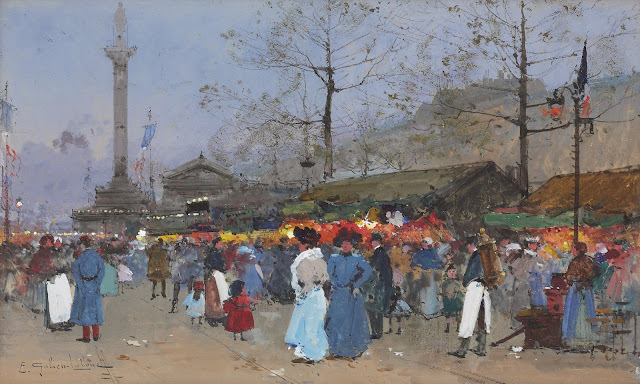 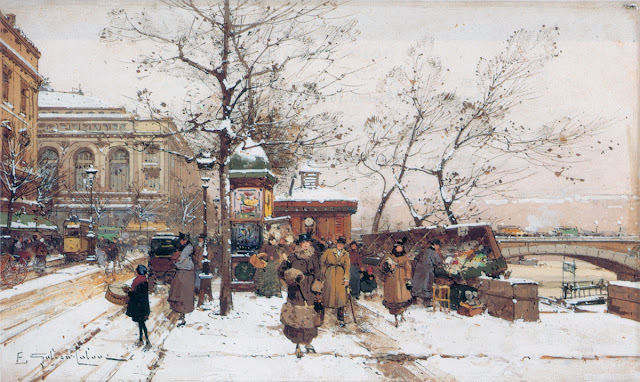 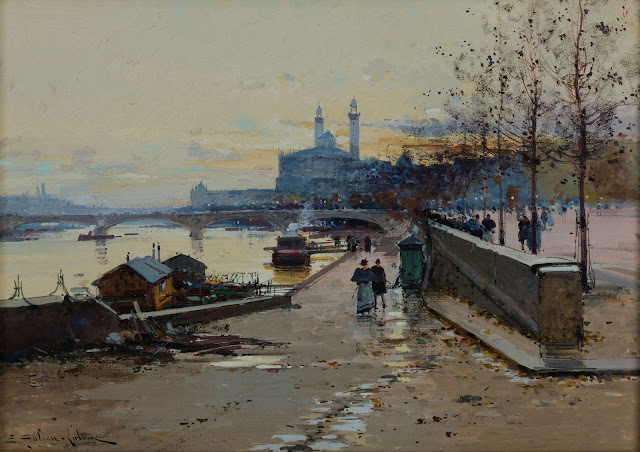 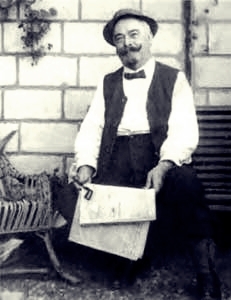 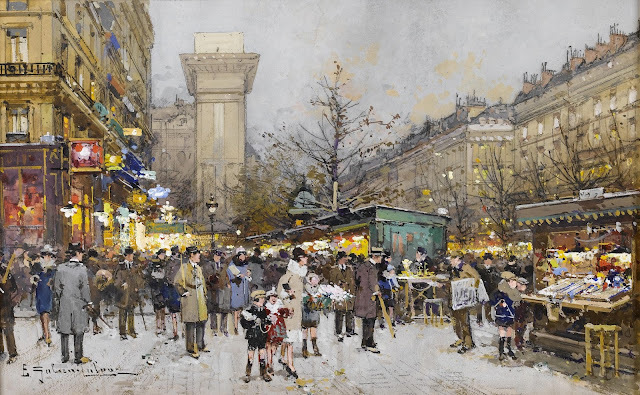 Eugene Galien Laloue was a French artist and was born in 1854 and lived till 1941. 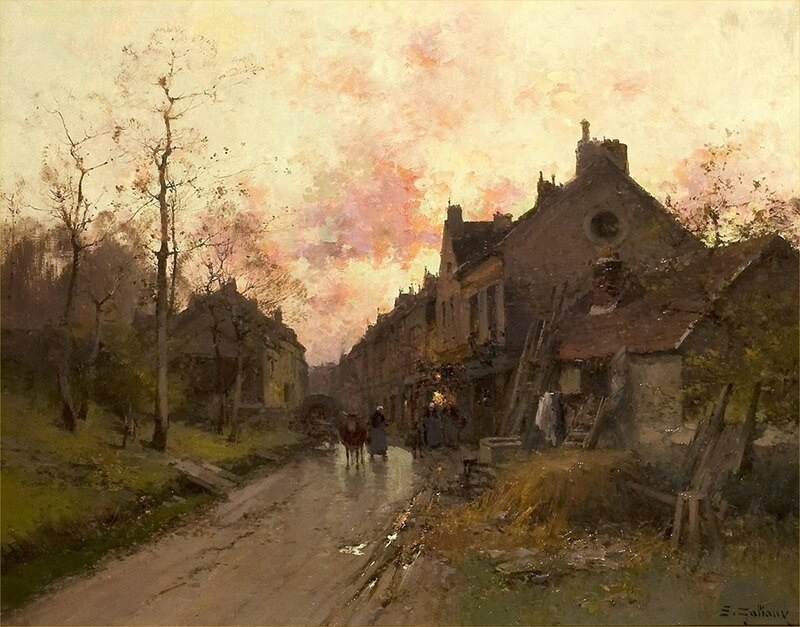 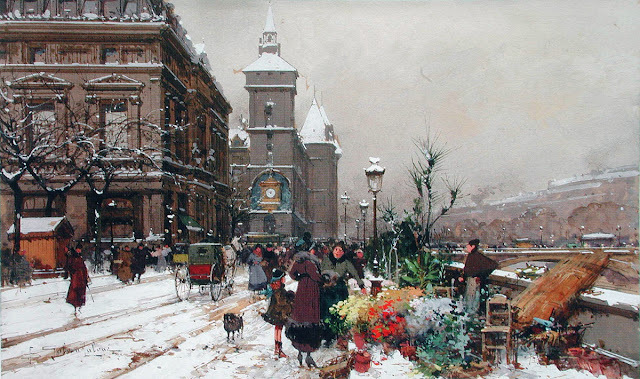 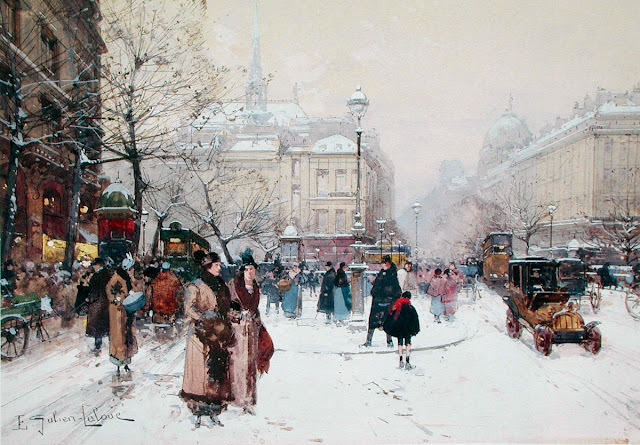 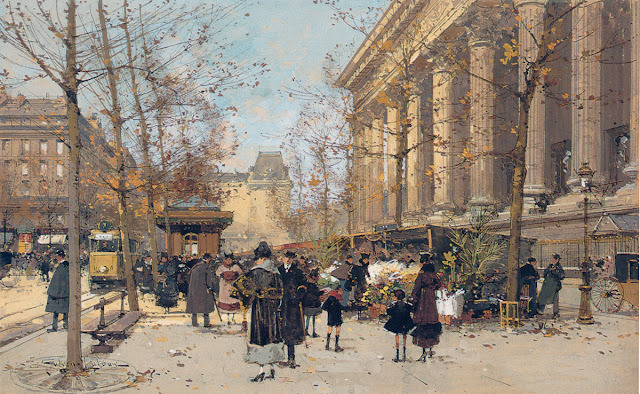 He loved painting city street scenes especially of autumn and winter. 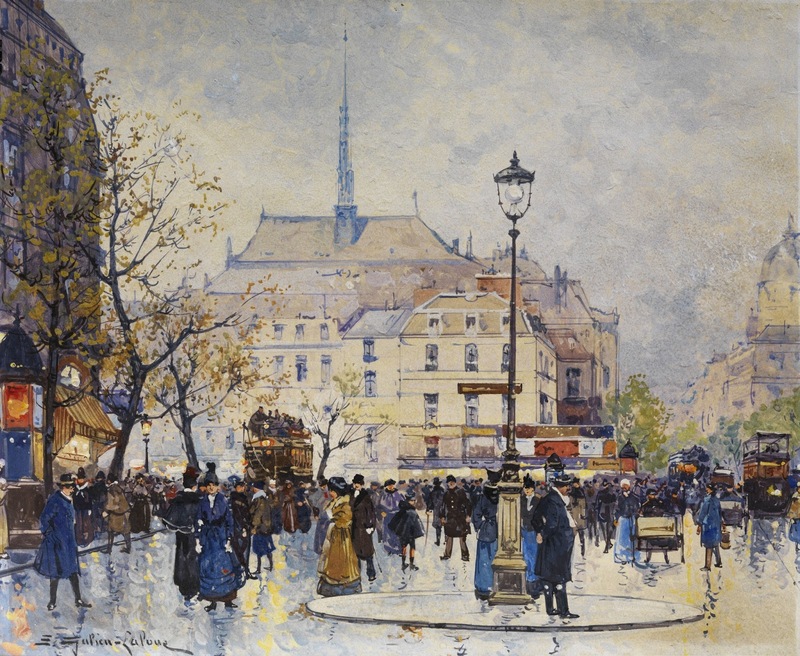 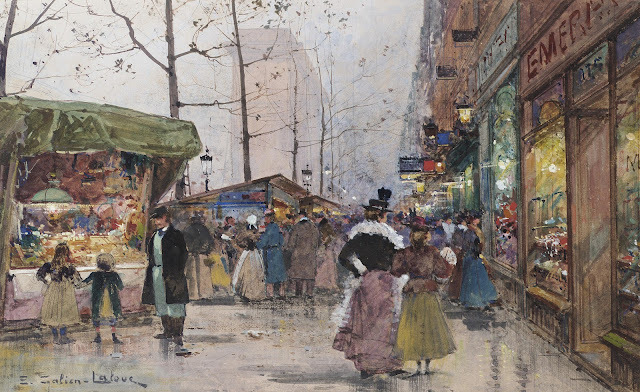 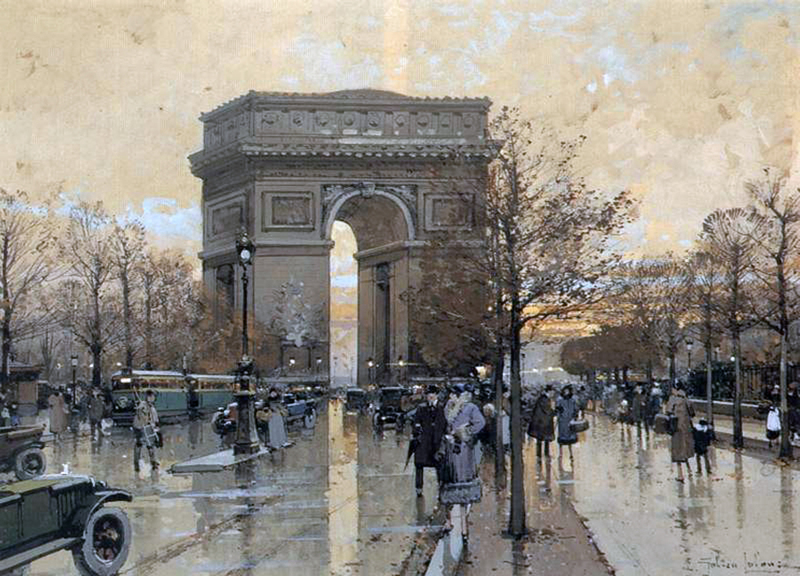 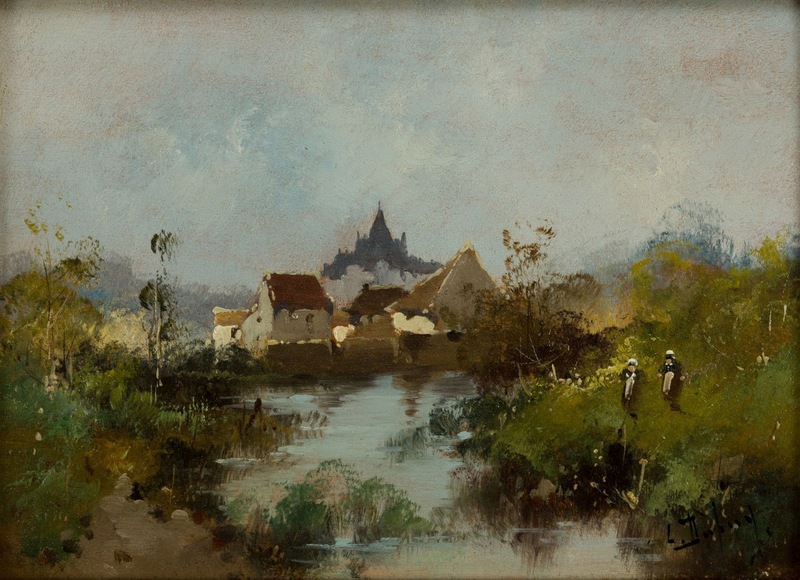 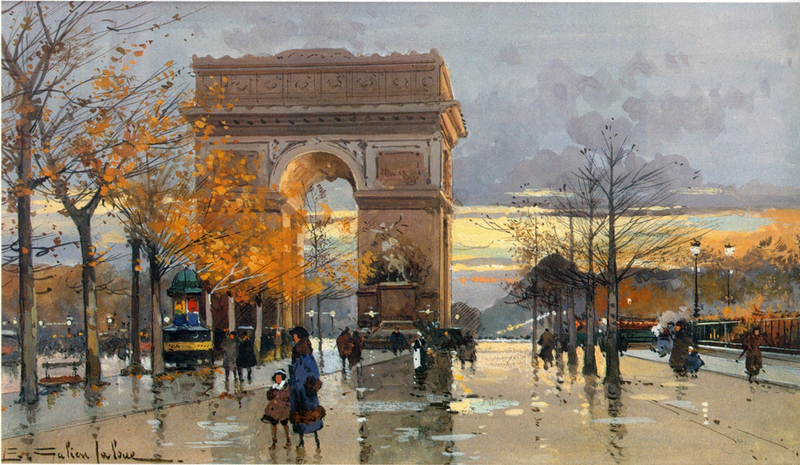 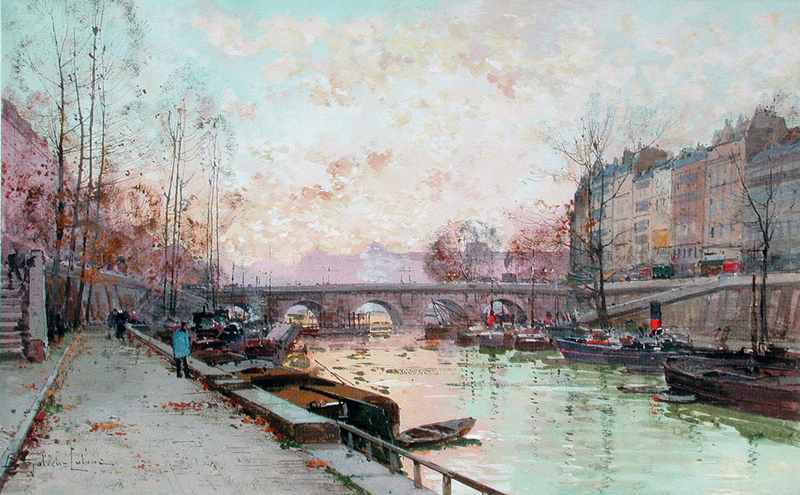 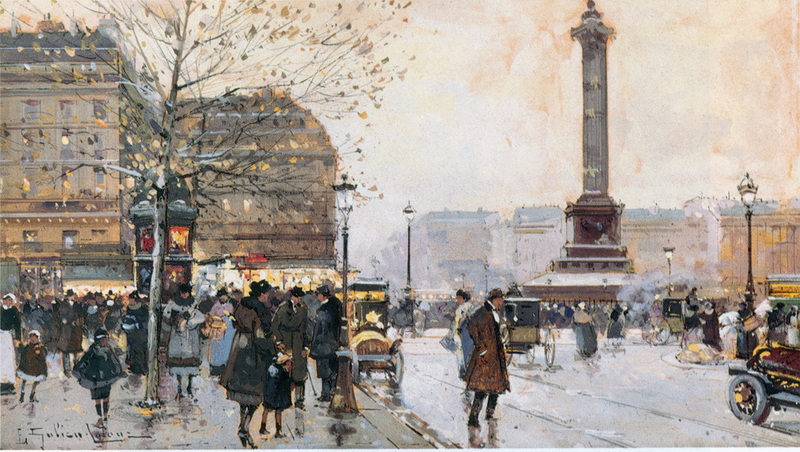 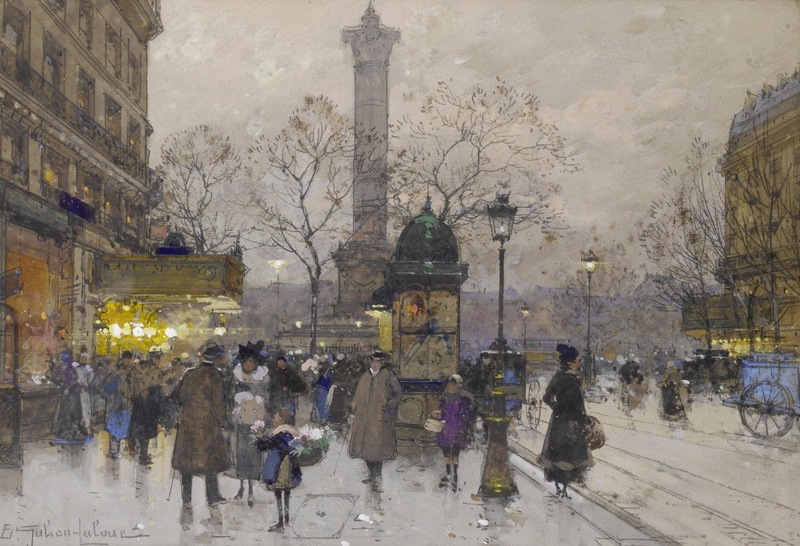 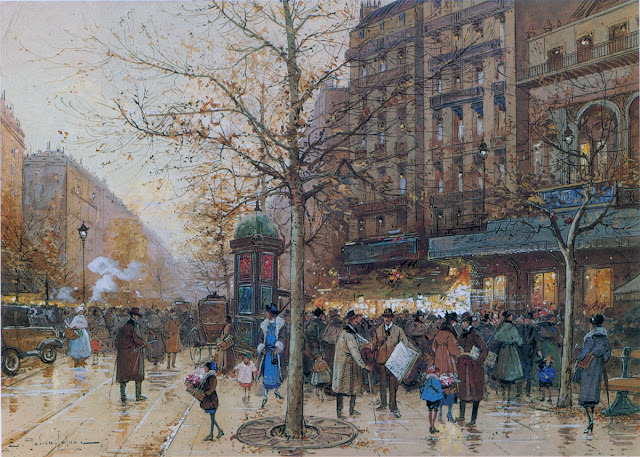 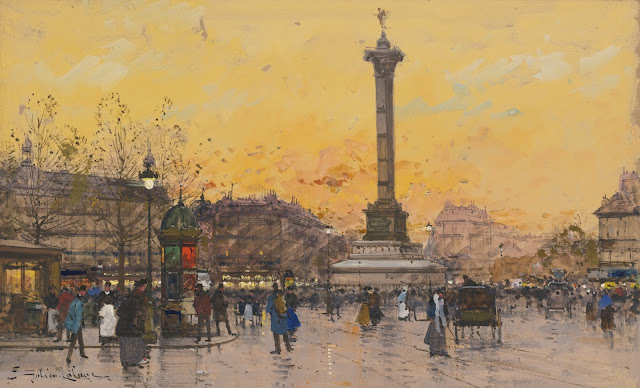 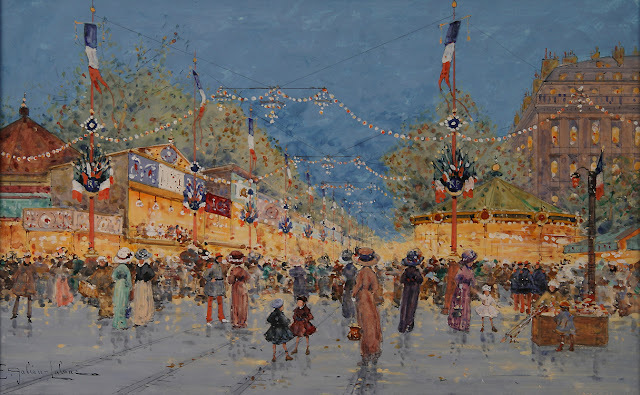 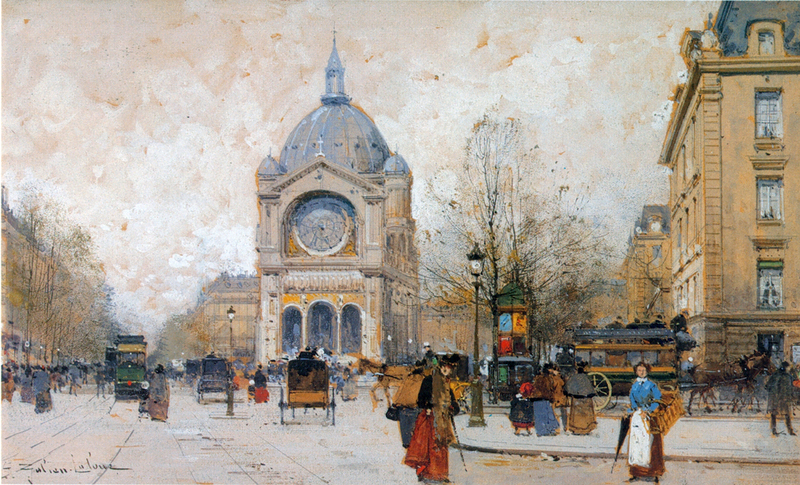 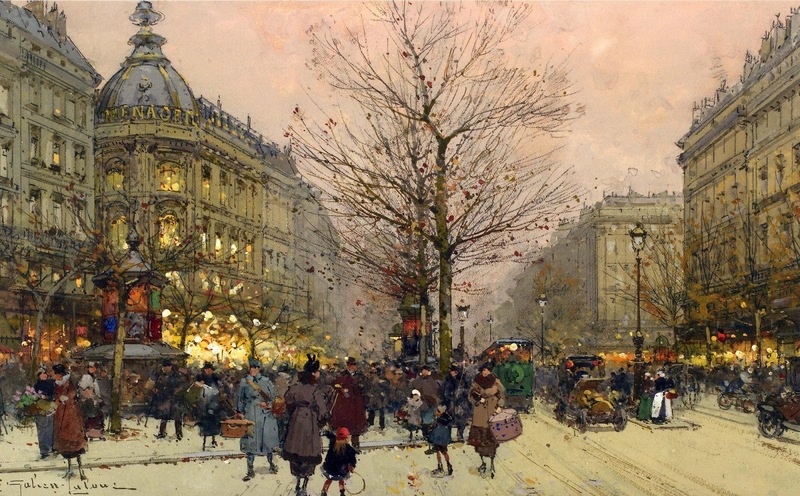 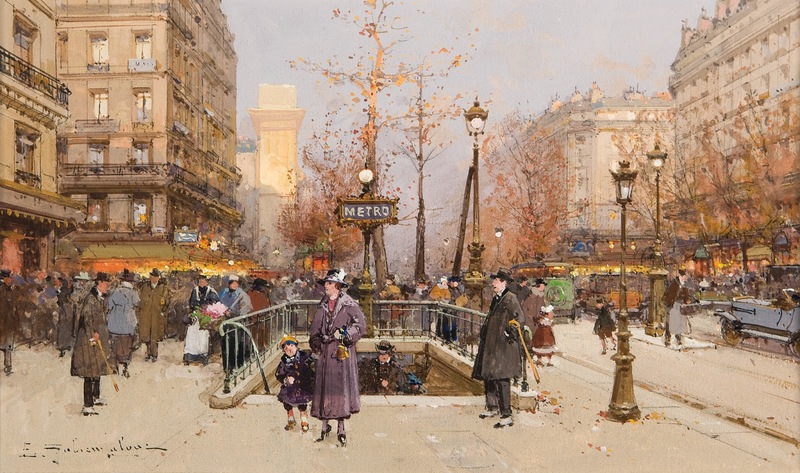 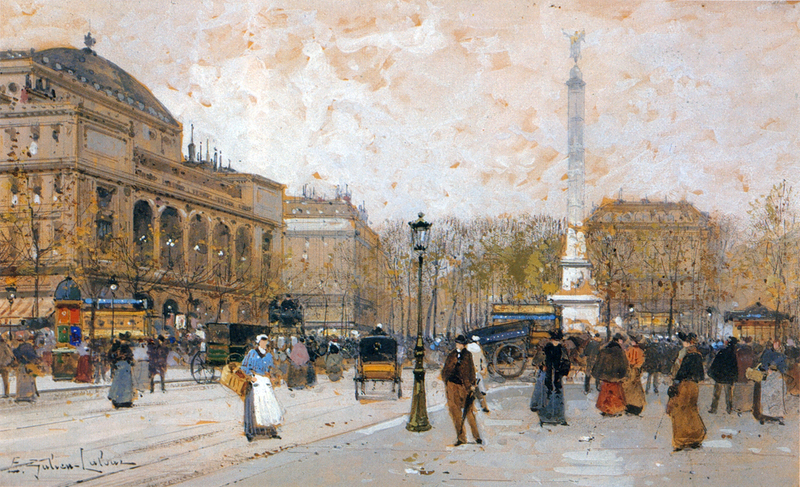 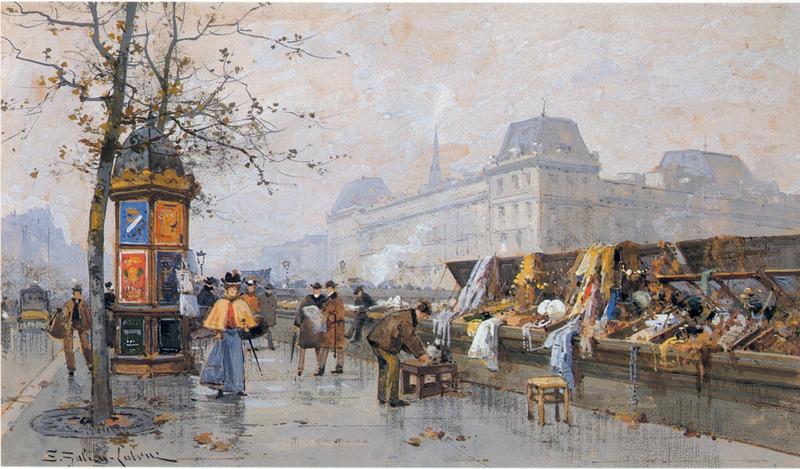 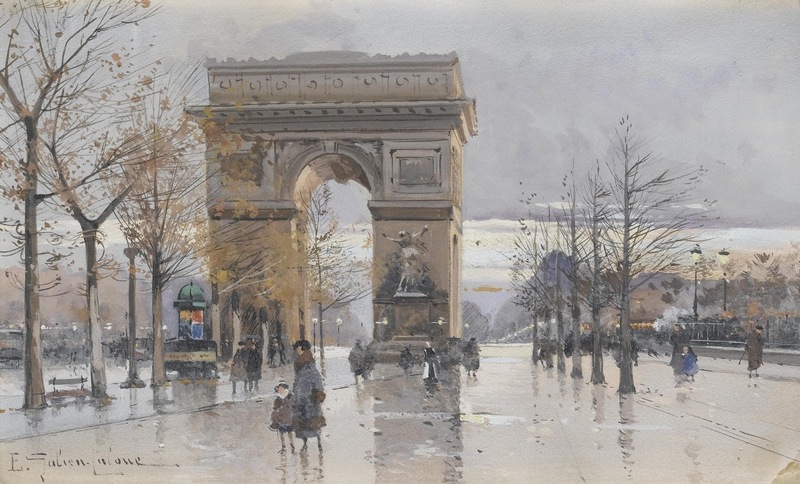 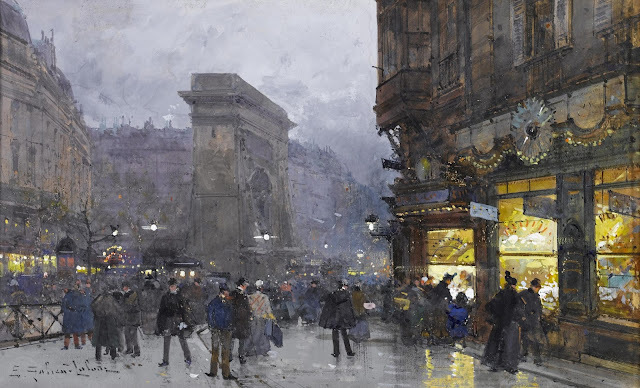 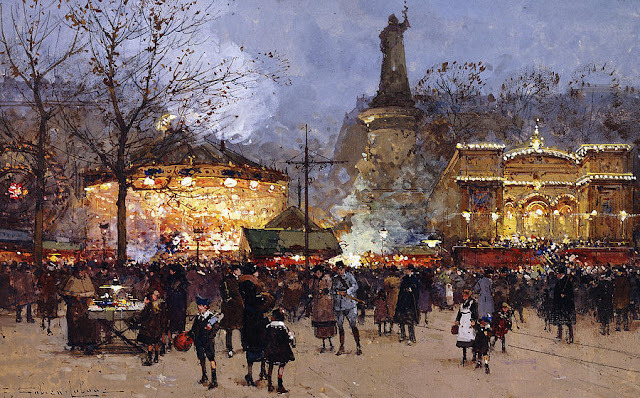 He lived in Paris so most of his art works depicts the city life of Paris. His paintings comprised of people, cars and omnibuses of 20th century.